Home/Sikh News/Sikh Protests/Bapu Surat Singh Khalsa/Bhai Lakhwinder Singh Ji “Lakha” was again Released on Parole for 28 Days. 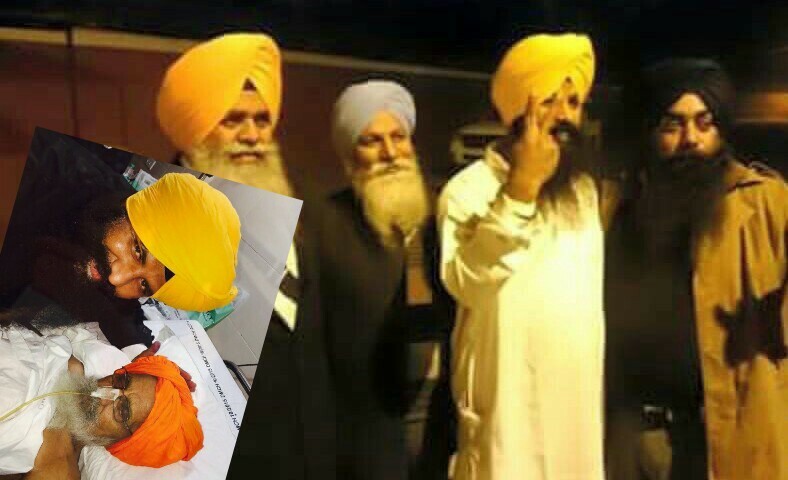 Bhai Lakhwinder Singh Ji “Lakha” was again Released on Parole for 28 Days. Bhai Lakhwinder Singh Ji “Lakha” was again released on parole earlier yesterday. Bhai Lakha Ji came to see Bapu Surat Singh Khalsa at DMC Hospital and appreciated his year long struggle for the release of Sikh political prisoners. Bhai Lakha Ji was in chardi kala, and his visit delighted Bapu Surat Singh Khalsa. Bapu Surat Singh Khalsa’s struggle has entered its 374rd day on 24 January, 2016 (ਧਰਮ ਯੁਧ ਮੋਰਚਾ 2, ਦਿਨ 373). Bhai Harjit Singh Dhapali :- Fearlessly Spoke Out Against The Pardon By The Five Jathedars At A Gurmat Program.